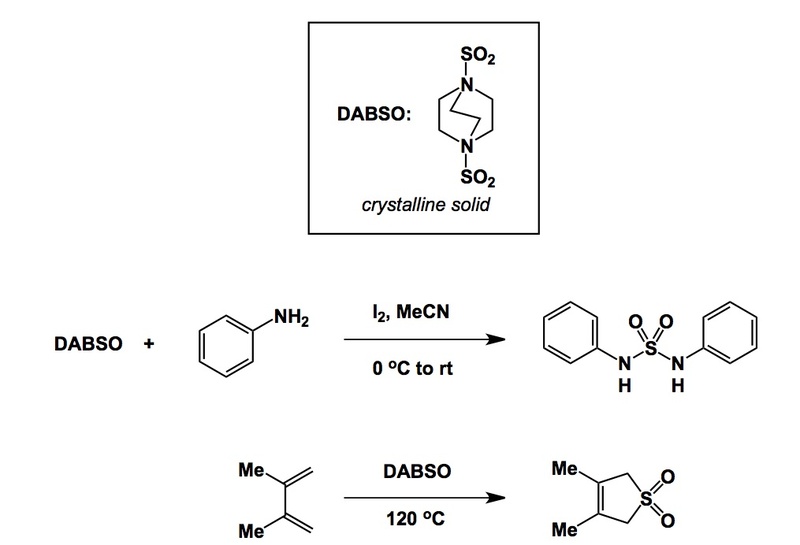 DABSO is a notable recent addition to the list of molecules that deliver valuable and highly reactive species in synthesis. In this compound, developed by Mike Willis of Oxford, the molecule of DABCO is complexed with two molecules of sulfur dioxide. This association enables handling a nasty gas (SO2) in a very straightforward fashion. I am showing just two examples from Mike’s OrgLett paper. The diene case is especially notable as it represents a great way to employ the reversibility of Diels-Alder reaction to protect (and later release) dienes. I have to say: there is something quite special about DABCO in terms of its “supporting” role in many other reagents (Selectfluor comes to mind). One nice trick for purifying fancy chiral phosphine ligands is to make phosphine-borane complex. The parent phosphines are quite sensitive to oxidation, so recrystallization is an option if one is careful but column chromatography is difficult (there is always some air on silica or in the solvents). But PR3.BH3 complexes are perfectly air-stable on column, or in solution. The phosphine is liberated from borane complexes… by excess of DABCO.